IF YOU'VE BEEN WANTING TO WORK AS AN ELECTRICIAN BUT BEEN TOLD THAT YOU NEED AN "ET CARD," HERE'S THE SCOOP ON HOW YOU GET ONE. Maybe you’ve been getting your start in construction as a laborer, doing odd jobs around the worksite. After trying out a few different things, you’ve decided that you enjoy doing electrical work. You start asking around about how to get a job as an electrician, and someone tells you, “Sorry, but you need an ET card to work as an electrician.” But what’s an ET card? To do electrical work in California, you need to enter a training program. Back in 1999, the state of California passed a law requiring that anyone working as an electrician for a C-10 electrical contractor had to certified by a state. That might be a bit to take in, so let’s break it down a bit. Anyone in California who works on electrical projects that cost more than $500 needs a C-10 electrical contractor license. This requires having a lot of on-the-job experience, doing necessary classroom and hands-on training (like you get at I-TAP), and jumping through a lot of other hoops. Once someone earns their C-10, they can open their own business as an electrical contractor. They can even employ electrical trainees and journeymen who don’t have a C-10. If you don’t have a C-10, you have to work for a business run by someone who does, so they can provide oversight and ensure you follow all necessary building and electrical regulations. However, the state of California has decided that contractors can’t just hire anybody off the street to do electrical work. Anyone they hire must have a certain amount of formal training. To get an electrician trainee card you need to enroll in an approved electrical training program. Okay, so you need to go to school to become an electrician. But that doesn’t mean that you can go down to your local community college and enroll in an Electrician 101 course. To become an electrical trainee, you must enroll in (or graduate from) a state-approved electrical training program. Thankfully, the California Department of Industrial Relations has a list of approved electrical schools that’s kept up to date. However, you need to be a little careful. Not every school on the list meets the requirements for becoming a trainee. You want to make sure that the school you’re considering is “Approved to Offer Whole General Electrician” curriculum. 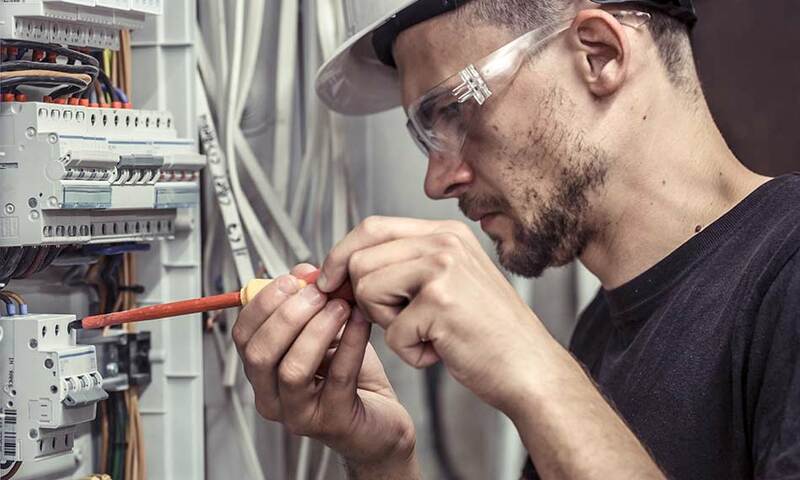 For instance, if you look at I-TAP’s listing on the site, you’ll find that we are “Approved to Offer Whole General Electrician & Residential Electrician Curriculum,” which means that we meet the state’s requirements for trainees. Once you receive your ET card, you qualify to work on jobsites as an electrician trainee, so long as you are supervised by a certified electrician. But until you complete your education, get the necessary hours of experience, and pass the state certification exam to become a licensed electrician, you must renew your registration as an electrician trainee every year. If you drop out of your class and/or fail to renew your registration, you will be dropped from the state’s list of approved electrical trainees, and can no longer be employed as a trainee. So, if you want to get your ET card but haven’t enrolled in a training course yet, I-TAP can help! Give us a call at (916) 332-3332, or send us a message using our contact form. We can get you started on the path to becoming an electrician trainee, and eventually a certified electrician!